Posted on August 6, 2015 at 10:48 am. George Armstrong was born in 1885 in Skellow, where his father worked as a gardener and domestic servant. He had two brothers and three sisters. 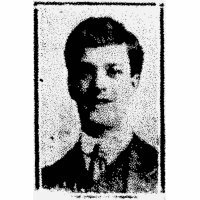 By age 16 he was living with his family in Stainton, where his father was now a butler. George found work as a colliery joiner and went to live in Wheatley with his elder brother Edwin and his wife Elizabeth, and their two daughters. Before the outbreak of war George had emigrated to Australia, where he carried on his trade as a carpenter. He enlisted in Adelaide, Australia in February 1915, aged 30. He joined the 2nd Battalion of the Australian Pioneers as a private soldier, but rose through the ranks, eventually being promoted to full lieutenant in October 1917. George was posted firstly to Gallipoli in October 1915, where he saw active service until March 1916 when his battalion joined the British Expeditionary Force in Alexandria, ready to ship out to France. 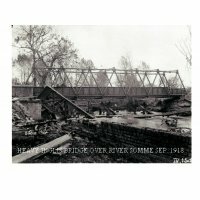 He was mentioned in dispatches but by September he was “sick in the field” and didn’t re-join his battalion until February 1917, after spending time in different hospitals and convalescent stations, followed by a spell at the 2nd A.D. School, Flesselles. 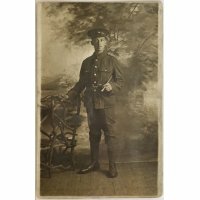 George, now Lieutenant Armstrong, now experienced life on the front line in Belgium. 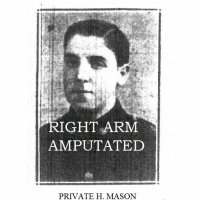 He survived until December 1917 when he was killed in action. George’s final resting place however was Trois Arbres Cemetery, Steenwerck, Nord Pas de Calais, France. He was awarded the 1914/15 Star, The British War Medal and the Victory Medal. 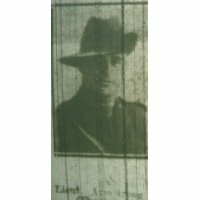 The Australian Army kept very detailed records about its soldiers, so we know that his only friends in Australia found out about his death via a newspaper article and wrote to his commanding officer for confirmation that it was indeed their friend who had died.